CLEVELAND – The Indians season ended with high hopes for 2016, and one of the reasons are two players who on Monday both earned honors. Pitcher Cody Anderson was named A.L. Pitcher of the Month, while Francisco Lindor was named A.L. Rookie of the Month. Anderson was excellent in September, going 5-0 record with a 1.38 ERA and 20 strikeouts in 39.0 innings pitched over six starts. It’s the first time an Indians hurler has won the monthly award since Cy Young Award winner Corey Kluber won last year for month of September. Among qualified AL starters for the month, Cody finished first in wins and ERA, and third in innings pitched. The 14th round pick of the 2011 draft was the surprise of the Tribe rotation in 2015, as he went 7-3 record to go along with a 3.05 ERA and 44 strikeouts over 91.1 innings pitched in 15 starts. Lindor isn’t a surprise to anyone at this point, as he continues to show why he was the Tribe first-round pick (8th overall) in the 2011 draft. Lindor batted .362 (38-for-105) with 17 runs scored, eight doubles, four triples, five home runs, 20 RBI and five stolen bases over 27 games to claim his first AL monthly award. He is the first Indians player to win AL Rookie of the Month honors since starting pitcher Scott Lewis in September 2008. Among qualified AL rookies, Francisco finished first in hits, doubles and stolen bases, second in runs scored and triples, third in batting average and slugging percentage (.657), tied for third in home runs and sixth in on-base percentage (.395). 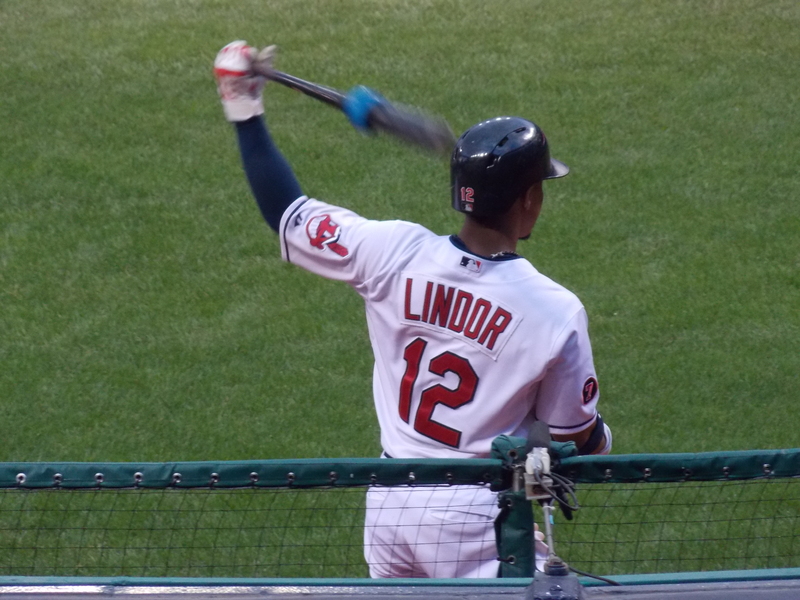 On September 16th against the Kansas City Royals at Progressive Field, Lindor went 3-for-4 with one run scored, a home run and four runs batted in. The Caguas, Puerto Rico native collected his 100th hit in that game, his 82nd career game, to become the sixth-fastest of any player in Cleveland history dating back to at least 1914.